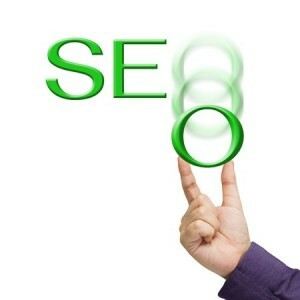 At the fundamental core of search engine optimization is the science of keywords. There are millions of websites all competing against one another to dominate certain search results and the way the leaders of the industry achieve this result is by finding the best, most precise keyword selections for their particular site and then proceeding to dominate in that category. Keyword selection and deployment is both easy and difficult, depending on who you ask and what level of keyword penetration you are seeking to obtain. The following is a summary of some basic pieces of advice that will have you using better keyword etiquette – in both research and deployment. One of the biggest mistakes people make when attempting to create a successful website is trying to incorporate a variety of mismatched keywords into their site’s content. Google and other search engines will recognize what you are trying to do and flag your site; this leads to penalty points and can bump you down in the ratings. Avoid this scenario by using keywords that only pertain to your site. If you are running a site about online piracy, it does not make any sense to have keywords on there relating to health and beauty. Not only will this attract unsatisfied visitors, but will also lead to consequences in your PageRank results. Some of the best keywords and phrases for an up and coming site are those that are the longest and most obscure. Search habits vary widely, and many people will have many ways to search for any given thing. If you want to aim for results in the mobile phone industry around the holidays, “the top 5 best cell phones for Christmas” is a far better phrase than “best Christmas cell phones” when it comes to competition versus traffic. While the latter keyword may have more results and may be searched more often, there are also many more websites vying for dominance in that keyword. Start your site’s reputation by gaining notoriety in keywords and phrases that are less common. If you do well here, you will be able to gain ranking in more simplified keywords later down the road. Everybody has their own “cut-off” point, but it is safe to say that most newer sites should strive to compete in keywords that have less than one million search results. If I was running a site that sells scarves and I wanted to gain more immediate keyword penetration results, I would perhaps look at two different keyword possibilities: “purple scarf” and “lavender scarf”. “Purple scarf” returns over seven million results, while “lavender scarf” only returns around 700,000. They are virtually the same thing but are two different ways of saying something, and I guarantee you there are people out there who will search for a lavender scarf over a purple one each and every day. Finally, after you have been attempting to gain notoriety in specific keywords, you will want to keep tabs on your progress. Pingler offers a Multiple Keyword Rank Checker that allows you to see how well you are doing on any and all keywords on your site. Simply specify the keywords and the tool will give you your results. Do You Know Which Keywords You Should Be Targeting? Getting a Better Career – Could Blogging be the Answer?